Ingalls Library. Art Auction Sources. Going Once... Going Twice... Sold! Going to the Theatre to See The Little Mermaid! A public library is a place where you can borrow books, music and movies. 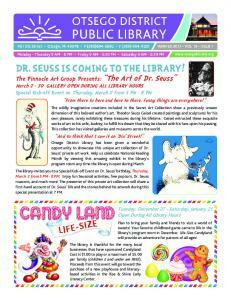 Libraries have programs and events for all ages. Libraries are busy and fun places in your community and are for anyone in Manitoba! WHO CAN GO TO THE LIBRARY? Everyone is welcome in the library. WHAT CAN I DO AT THE LIBRARY? You can do many things at the library. You can borrow books, movies and music. There are books, movies, magazines, newspapers and music for babies, children, teens and adults. Some are in different languages. All library programs are free! You have to register for some programs. Tell the library staff what program you want to go to. The library staff hold a space in the program for you. You can study or read in the library. Libraries have areas for you to read or study. You can also use the library to talk to a friend or have a meeting. HOW DO I FIND THINGS IN THE LIBRARY? All items have a label with a call number. A call number is like a house address. It tells you where to find an item on the shelf. You can use the library’s catalogue to find the call number. The catalogue lists everything in the library. Remember, there are many kinds of books, movies and music for all ages and reading levels. Ask the library staff for help. They are there to help you. Can’t find what you need? Or is it checked out? You can request an item. The library will e-mail or phone when the item is ready for you. When it is at the library ready for you, it is called a hold. HOW DO I GET A LIBRARY CARD? You need a library card to borrow from the library. Library cards are usually free. Bring ID to the library with your current address and ask for a card. Don’t worry if you don’t have any ID. You can still get a library card called a ‘limited’ card. Your library card has a number on it. This is also your library account number. Only you have this number. Your library account also has a PIN (Personal Identification Number). Your PIN is the last 4 digits in your phone number. For example, my phone number is 204-555-1212. My PIN is 1212. You can change your PIN anytime. Talk to library staff if you want to change your PIN. HOW DO I BORROW ITEMS FROM THE LIBRARY? Borrowing Remember to bring your library card to take items home from the library. Here is how you borrow from the library: 1. Choose what you want. 2. Go to the check out desk. 3. Show your library card. 4. The library staff will check out your items to your account. 5. The library staff will give you a receipt. Keep your receipt. It shows the due date when you have to return the items to the library. RETURNING Bring items to the returns desk in the library. If the library is closed, look for the return slot outside. Put your items in the return slot when the library is closed. Winnipeg Public Library has 20 locations, you can borrow items from one location and return them to another location. What if I am late? Sometimes you have items that you cannot return by the due date on your receipt. Items that are late are called overdue. You have to pay money for every day that you are late. This is called a fine. You can stop this from happening. You can renew your items. Renewing You can keep your items for a longer time by renewing them. This is like borrowing them again. There are many ways to renew your items. • Phone the library and ask to renew • Go to the library website and look up your account • Ask the library staff to renew your items You can renew most items. You cannot renew items when someone else is waiting for them. You cannot renew items when you owe too much money for fines. Return your items on time or renew your items, and you will not have to pay any money for fines! WHERE ARE LIBRARIES IN MANITOBA? There are more than 100 public libraries in Manitoba. Winnipeg Public Library has 20 locations in Winnipeg. There are public libraries in Brandon, Steinbach, Portage La Prairie and many other towns in Manitoba. To find a library outside of Winnipeg: • Call 1-800-252-9998 • Go to Public Library Services Branch website at www.gov.mb.ca/chc/pls/publications.html. Pick Manitoba Public Library Statistics and click on maps. Maps are on the top corner of the page. . MATCHING GAME There are many special words used in libraries. Try this little game. Match the word below with the correct meaning to the right. I love GOING TO THE LIBRARY! Report "GOING TO THE LIBRARY"